In the ongoing exchange between myself and the self-styled natural gas landman-maverick VP of Land and Public Relations, Mike Knapp—Snyder Bros/MDS Energy Services, I have sought to lay out in as thorough and objective a fashion as possible the facts relevant to Mr. Knapp’s/MDS claims that (a) natural gas extraction whether by vertical well drilling or hydraulic fracturing if safe, (b) that it will lead to the nation’s energy independence, and (c) that claims made by the anti-fracking activists are misplaced, if not entirely miscalculated. What I have shown is that Mr. Knapp (and his stalwart company, Tom Shepstone, Nicole Jacobs, Joe Massaro, among a selection of anonymous others posting on the Energy in Depth thread, “Natural Gas Protestors Have Overstayed Their Welcome at the Redwood Inn”) are either just mistaken, willfully ignorant, malicious, and/or actively engaged in mendacity with respect to each of these claims. You can find the entire hoary thread here: http://eidmarcellus.org/marcellus-shale/natural-gas-protestors-have-overstayed-their-welcome-at-the-redwood-inn/12112/. And you can find my original Raging Chicken piece here: http://ragingchickenpress.org/2012/08/19/response-to-mike-knapp-best-not-to-call-me-an-elderly-hippy/. “Sorry Wendy, all that your post shows is that the DEP is on the job and being very vigilant. Unfortunately, the facts do not support Mr. Knapp’s support of MDS’ environmental record. Indeed, investigating a little further back to 2004 when MDS was still incorporated as Snyder Bros., what we find is evidence of a pattern of negligence, arrogance, and entitlement that characterizes the MDS drilling enterprise into the present. 1. Mr. Knapp claims that all my post shows is that DEP is “on the job,” effectively conceding that MDS is guilty of the violations with which they are charged. But then Mr. Knapp tries to minimize and/or dismiss the DEP charges and fines in the interest of making MDS appear to be a good corporate citizen. Nothing could be further from the truth, and Mr. Knapp doesn’t get to have it both ways. 2. Mr. Knapp grossly distorts the facts when he insists “some muddy water ran off of our access roads into streams already filled with muddy water.” According to DEP reports, the company was found to have, for example, discharged “drill cuttings, oil, brine and/or silt” “into waters of the Commonwealth,” (“There was a steady flow of sediment laden water exiting the culvert and entering directly into the stream”/ “Discharge of Industrial Waste to the Waters of the Commonwealth”), “discharged pollutional material into the waters of the Commonwealth,” (same language —into stream), “failed to prevent sediment or other pollutant discharge into the waters of the Commonwealth,” failed to “case and cement to prevent migrations into groundwater,” failed to “plug a well upon abandonment,” “failed to minimize accelerated erosion,” and failed to “stabilize a site” towards site restoration. I have no idea which of these violations is the source of Mr. Knapp’s reference—since none of them fit “muddy water run-off.” What is clear is that MDS interests are served when as little of this record sees the public light of day as possible—and that, of course, is Mr. Knapp’s well-paid job. (a) The owner and operator may not cause or allow a discharge of a substance to the waters of this Commonwealth unless the discharge complies with this subchapter and Chapters 91—93, 95 and 102, The Clean Streams Law (35 P. S. § § 691.1—691.1001) and the act. (1) No additives, drilling muds, pollutional materials or drilling fluids other than gases or fresh water have been added to or are contained in the water, unless otherwise approved by the Department. (2) The pH is not less than 6 nor greater than 9 standard units, or is characteristic of the natural background quality of the groundwater. (3) The specific conductance of the discharge is less than 1,000 µmHos/cm. (4) There is no sheen from oil and grease. (5) The discharge water shall be spread over an undisturbed, vegetated area capable of absorbing the tophole water and filtering solids in the discharge, and spread in a manner that prevents a direct discharge to surface waters and complies with § 78.53 (relating to erosion and sedimentation control). (6) Upon completion, the area complies with § 78.53. (7) The area of land application is not within 200 feet of a water supply or within 100 feet of a stream, body of water or a wetland unless approved as part of a waiver granted by the Department under section 205(b) of the act (58 P. S. § 601.205(b)). (8) If the water does not meet the requirements of paragraph (2) or (4), the Department may approve treatment prior to discharge to the land surface. (http://www.pacode.com/secure/data/025/chapter78/s78.60.html). In other words, top hole water may only be released to the surface IF it meets all of these requirements–and this makes clear that it very well may NOT. Indeed, it may be contaminated with “drilling muds, pollutional materials or drilling fluids other than gases or fresh water [that] have been added to or are contained in the water.” Not to mention “sheen from oil and greece.” And, as I have shown, MDS has been cited by DEP for violations pursuant to this code, 78.60–discharge requirements. 4. Not maintaining a freeboard: it apparently rains every time just before DEP comes by given the repetition of this infraction. According to Baldassare [the state’s “dedicated methane migration investigator”], the Snyder methane caused the explosion. “In my view,” he said, “there was no uncertainty” (http://www.propublica.org/article/water-problems-from-drilling-are-more-frequent-than-officials-said-731). It is stunning—though unsurprising that any of the responsible executives at Snyder Bros. refused to be interviewed for the Pro Publica story. Indeed, the refusal is perfectly consistent with the pattern deployed by Mr. Knapp—deny, dismiss, paper-over, ridicule, evade. But this is the salient moral point: “The bodies of the Harpers and their grandson, Baelee, were found buried in the debris.” That is, people died—and Snyder Bros.’ response was to refuse comment despite the fact that the evidence made clear that Snyder was responsible for the explosion. Read in light of the record of reckless and negligent corporate behavior MDS exemplifies between 2008-2010, we can only conclude that MDS has no greater interest in the health—or even the lives—of the residents who live in their communities than does their effective parent company, Snyder Bros., Like Snyder’s MDS’ has a singular interest in insuring the profitability of the company—and the PR necessary to secure that goal. 1. August, 2010″Kittanning, Pennsylvania-based MDS Energy, LTD is an independent natural gas exploration & production company that is a wholly-owned subsidiary of MDS Associated Companies. The parent company also owns the drilling and service company First Class Energy, LLC. 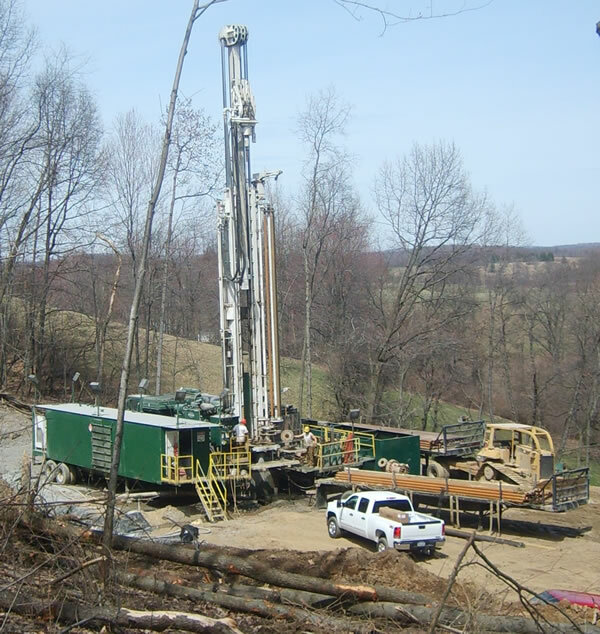 MDS Energy specializes in developing small acreage for shallow wells in residential and commercial areas, as well as vertical Marcellus wells on larger tracts…The MDS Energy website, accessed in August 2010, indicates that it controls over 10,000 acres in Armstrong, Butler, Clarion, Jefferson, and Indiana Counties…A news account in August 2010 stated that MDS Energy had made an open invitation to landowners in its service area to join in a pool of up to 500,000 acres that could be offered for sale to a large bidder. The article mentioned that the company either already owned or else had commitments for 300,000 acres. Knapp Acquisitions & Production, LLC was partnering with MDS Energy on this project. Reportedly, MDS had drilled 11 Marcellus Shale wells, but required support, possibly from a joint venture partner, to further develop its acreage to best advantage. Michael D. Snyder is President of MDS Energy, LTD and First Class Energy, LLC. Shawn Cogley and Jason Knapp are MDS Energy land agents. “The temporary well head in Adrian is shown here that is used to accept the sand/water mixture, blown down under the formation under pressure to crack the hard shale formation, allowing the gas to escape” (http://www.kittanningpaper.com/2009/09/03/washington-township-gas-well-now-operational/1714). Pretty, isn’t it? Mike Knapp chimes in: “People are genuinely excited about all of this once you explain to them just how much of an impact it’s going to have on the region,” land agent Mike Knapp said. “Our operations are very environmentally friendly. They disturb a minimal area for a short period of time, and the economic implications are unimaginable.” Knapp said the area is set for an economic boom for Marcellus Shale gas that is similar to the boom of the 1850’s when the first oil well was drilled here” (http://www.kittanningpaper.com/2009/09/03/washington-township-gas-well-now-operational/1714). Pictured are (from left to right) MDS Energy Vice-President Randy Morris, Jr, MDS Energy President Michael Snyder, and Snyder Brothers Inc. President David Snyder. 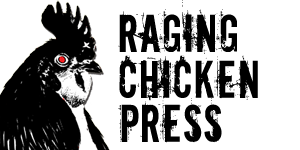 Snyder Bros, MDS, First Class Energy–effectively the same corporation. 4. These are all the same folks who, exploiting Governor Tom Corbett’s appeal to the recession to force fracking onto public lands, want to drill on public school properties: “Because of that budget, school board officials are exploring alternative revenue sources – one of those being Marcellus Shale gas drilling…Facilities and Property Services Director William Henley started looking into the Marcellus Shale process five months ago after meeting with two Kittanning drilling companies – Snyder Bros. and MDS Energy…The district currently has a lease agreement with Snyder Bros. for gas deposits, with two wells being drilled on the West Hills school complex property, and asked representatives if they wished to drill for Marcellus Shale or at other school-owned properties” (http://www.kittanningpaper.com/2011/04/18/school-officials-explore-gas-drilling/16100). Note how school officials themselves refer to “Snyder Bros. and MDS as if they were one entity. That’s because they know this is, for all practical purposes, one entity. English: “For starte[r]s according to the DEP web site MDS does not have any permits for Marcellus. If you follow any of the feeds you will quickly learn that they are strictly an aquisition co. For the most part MDS seems to run with Snyder Bros, Markham, Knapp, 1st Energy, all of which are in the business of accquiring land offering “leases” which in reality are an option of which if you very carefully read it starts as 5yr with an “automatic 5yr”renewal. They will say they only write for 5yrs, they just forget about the automatic renewal. Please be very weary of these. 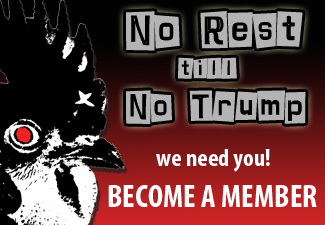 I’ve been called after the signing wanting to know my thoughts, only to see there is nothing that can be done” (http://gomarcellusshale.com/group/clarion_county_marcellus/forum/topics/mds-energy-ltd?xg_source=activity). 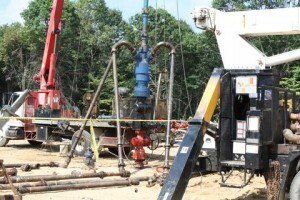 “Snyder Brothers is one of the largest drillers/operators in Western Pennsylvania. They have over 4,000 wells. They are not an acquisitions company. 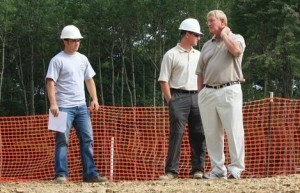 Knapp Acquisitions & Production ( www.knappAP.com ) is a land leasing company that secures leases on behalf of MDS Energy. Snyder, MDS, Knapp, and multiple other companies were leasing last year to include properties in a sale of some of our own acreage. We only did this for about 6 months. We have since stopped pursuing leases to go into that deal and are back to securing leases which we intend to drill ourselves” (http://gomarcellusshale.com/group/clarion_county_marcellus/forum/topics/mds-energy-ltd?xg_source=activity). In other words, MDS is Michael Snyder’s and Mike Knapp’s venture to cash in on the Snyder family legacy of gas drilling. This is about something far thicker than blood. It’s all about money. Snyder Bros. makes no less than 13 donations to Mr. Pyle totaling $10, 426.48–the best influence over, say, decisions to locate gas wells on public elementary school grounds that money can buy (http://new.marcellusmoney.org/candidate/pyle-jeffrey-p). Lastly, let’s turn to the present. As I have shown, natural gas extraction operations are not “environmentally friendly,” and MDS is a particularly poor steward of their environmental responsibility. Mr. Knapp claims that my list of violations “stops 2 years ago.” Indeed, it does. Would MDS violations be able to make the same claim. But, alas, such is not the case. In fact, for 2011, MDS has one of if not the highest comparative rate of violations for all drilling concerns in the Commonwealth: 60%. 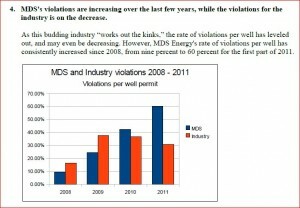 Moreover, in 2011, MDS achieved more violations per well permit than any other industry drilling in Pennsylvania (http://coalitionforahealthycounty.files.wordpress.com/2011/09/110905-mds-hearing-part-2-violations.pdf). Mr. Smith recommends denial of a zoning permit to MDS. In his comment, Knapp insists that “[a]s far as Gerald Smith, while we disagree on drilling, I think Gerald would tell you that I’m a pretty reasonable and decent guy. Weve stood around for hours debating gas drilling late into the night after pu[b]lic meetings had ended. We received our permit to drill that well and did so without any violations. We worked with the county to implement additional protections for the park. I actually just took out one of his wife’s anthropology students on a well site tour for his college project on gas drilling last week.” I have no idea what Smith think of Knapp personally; and that is entirely irrelevant. Smith recommended denial of the permit on the grounds that MDS’ record is plainly and dangerously poor.